The intent of the professional reading program is to promote the reading and discussion of books throughout the year. Discussions are encouraged on the WFLDP Facebook page and anywhere you can find two or more people willing to chat about books and leadership. There is no right or wrong way to read, or to use this program. It is a tool that we've made available for anyone to use as they see fit. Most professional organizations maintain some sort of reading program, and reading followed by reflection is a valuable tool for leadership development. You do not need to read all the books on the list, although that is great if you do. For most of the titles we have put together a basic "why should I read this" document with some simple questions meant to spark discussion. Feel free to use these discussion questions or come up with your own. You do not have to agree with the authors, or even like what they have to say. The important part is to read, think about it, and talk about it! Local units are encouraged to solicit ideas from local personnel about implementing the Professional Reading Program. A professional reading program can be developed on your local unit in a few easy steps that require very little effort or expense. Start by establishing a central book cache or library in your break room or training room. Designate a bookcase specifically for leadership. For several hundred dollars, a fire organization can put together a good library from the titles listed in this reference. There are many possible avenues for the acquisition of books. You can ask the region/district/department to purchase them or apply for continuing education grants. You can solicit books from the local community or contact service groups for assistance through monetary or book donations. You can also check local or online used bookstores for books or books on tape. Give books from the reading list as awards and appreciations. Buy enough copies of one of the books for your whole crew or fire organization to read. Consider assigning your crew or staff to read one of the books and discuss its salient points at a crew meeting, training day, or safety session. Have topic discussions about books from the reading list. This will allow one person to relate the main topics and points of a book to a group or allow a group to compare their ideas about a single book. Topics can be assigned or selected by the participants. Assign each person a chapter(s) or book to read and brief the rest of the group. Propose a topic and have people find articles from magazines, newspapers, etc., or other books that are relevant to the topic. Have crew members present their findings at a crew forum. Tie the reading program to employee Individual Development Plans (IDPs); e.g., read a certain number of books in a given time period. Designate specific books based on the employee's qualifications. Keep it fun, but emphasize the importance of the program in developing a commitment to a lifetime of learning and to stronger leadership at all levels of our fire organizations. The starter list below is included to give suggestions to help young employees get started in developing a habit of continuing education and self development. The NWCG Leadership Subcommittee invites individuals to submit suggestions regarding new titles, removal of titles, or corrections to the Professional Reading Program. New title suggestions must include the information provided below. Please use our book suggestion form to provide this information. The follow up title to Extreme Ownership, this is another book that is full of practical leadership concepts and tools that can easily be applied to all levels of wildland fire leadership, from firefighter two to area command. 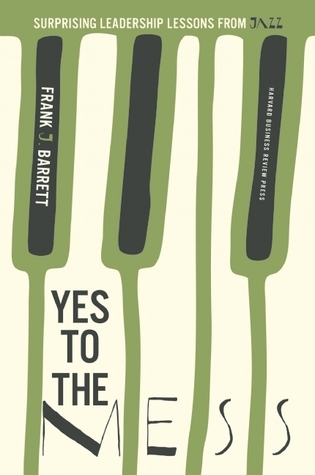 This is a great read as a standalone title, and it’s even better if you’ve read Extreme Ownership. 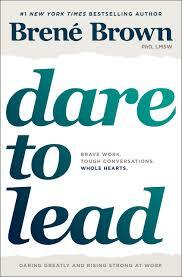 The leadership skills described in the book are field tested, and born of experience. This is a must-read for fire leaders. It’s a book that takes a deeper dive into the leadership skills and behaviors that are absolutely essential for high-quality leadership, but are often ignored or misunderstood. Definitely a book that will spark discussion and reflection. 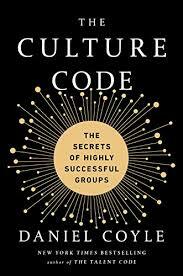 In this book, the author explores what kinds of culture contribute to successful organizations across a variety of disciplines, and examines the mindsets, actions, and behaviors that make them work. This is an excellent book to read for leaders and followers who want to work on creating or sustaining a leadership culture in their organization, whether that’s a squad, crew, department, or agency. 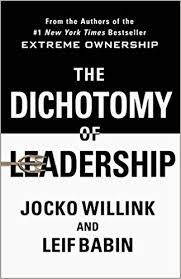 Not a leadership book per se, but one that really takes a different look at decision-making, which is a fundamental skill for wildland firefighters and leaders at all levels. 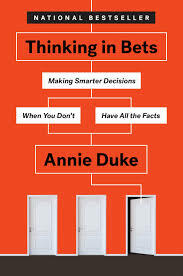 This is a book that examines some of the ways that we make decisions, and offers some tools for making better decisions in situations where we don’t have all the facts, which of course is relevant to leadership in wildland fire. A great little book full of ideas about leadership at all levels, with lots of potential applications in the fire environment. It’s a quick and easy read, and the concepts described are easy to transfer to the workplace and personal life alike. 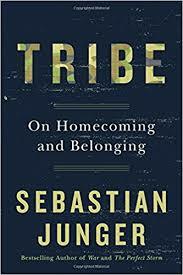 A book that’s not about leadership per se, but is about how we as humans are wired to interact in small groups, and how modern society has changed how we interact. It’s also a great study into how individuals cope with traumatic events from warfare to natural disasters. It’s a book that should make most of us think about those around us and how we interact with each other in the fire community. While the title seems like it should belong to a children’s book, this is actually a great read for fire leaders at every level. 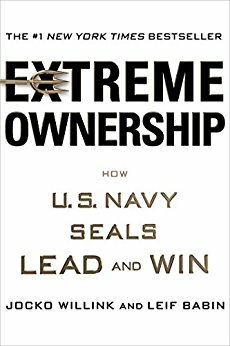 Based on a commencement address from 2014, it takes some simple, actionable ideas from the authors experience as a Navy SEAL and applies them to the bigger picture in leadership and life. As is to be expected, there are plenty of ways to apply these ideas in the fire world. A great book that doesn’t so much tell us how to be leaders as it does show us an example of what leadership can look like. 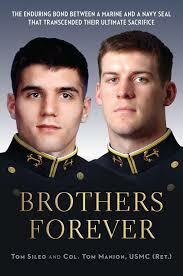 A moving story about two friends and their families who paid the ultimate price leading from the front. It’s a book that can inspire us all to be better leaders and individuals. 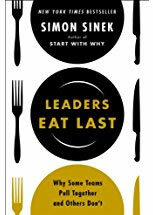 A book on leadership that focuses on changing from top-down traditional leadership to dynamic leadership that’s more effective in the modern “information” era. Focused on organizational leadership with many applications for fire leaders at any level. While it’s focused heavily on the corporate business environment, it also has many ideas and concepts that translate well into the fire world. Authentic leadership matters regardless of who you are or where you work. 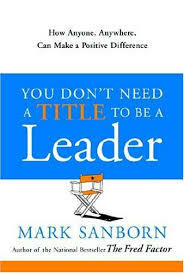 Leadership starts with leading of self, and this book is a great tool for self-improvement as a leader and a person. Leadership starts with you, and as the author says, you need to get yourself right before you lead others. 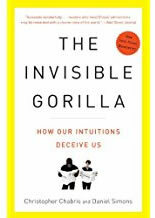 Not a leadership book per se, but leadership is made better with understanding of how we perceive the world around us, and how our brains interpret what we perceive. A wonderful book on how we see, or don’t see, the world around us. 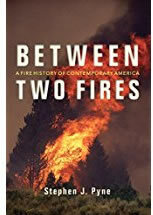 For anyone wanting to dive deeper into fire policy and history, we highly recommend reading Between Two Fires by Stephen Pyne. It explains quite well many of the reasons we got where we are today. A very thorough history of the American fire scene from the early days until recent events. Closely examines the events, policies, and agencies that shaped American fire management. A lot to absorb, but well worth it for those looking to really think about how and why fire is managed the way it in America. A combined series of essays and short stories about the people, places, and organizations that shape each fire region. A great way to learn more about the cultures and natural process of places you may not have experienced. Leading well in dynamic, complex environments, where conditions are frequently changing, chaos and confusion are common, and innovation in the face of adversity is needed. Leadership is at its core a human interaction. Understanding human factors, including the way our brains work to interpret what happens around us, is an important part of being a competent leader. 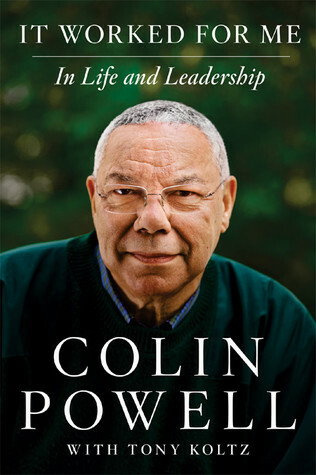 Colin Powell shares leadership and life lessons, notes, observations, and insights that he has acquired over a lifetime of experience in the military, the State Department, and his personal life. The author explores how he empowered his followers to be leaders at all levels in the high-stress operating environment of a modern nuclear submarine. The author takes readers alongside his personal journey as a wildland firefighter, from his early years in California to his time spent as a smokejumper in the Washington Cascades. 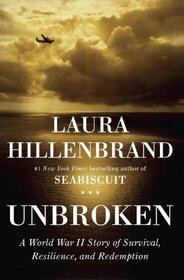 Unbroken: A World War II Story of Survival, Resilience, and Redemption” by Laura Hillenbrand. The book is focused on the story of Louis Zamperini during World War Two, but also looks at his life before and after the war, and the tragedies, challenges and triumphs that he experienced. As a value-added feature, readers are encouraged to venture into the Leadership in Cinema realm and watch and discuss the film version. 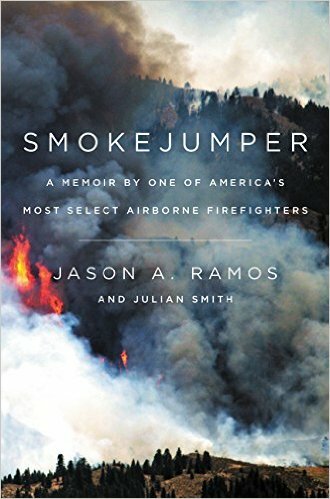 This is a list of books and other resources included in the reading program prior to 2014, and includes Director’s Choices, selections on Culture, Human Factors, Lessons Learned, Leadership and Management, as well as case studies that examine the importance of leadership in wildland fire community.